To admit the existence or truth of a statement and accept responsibility. A formal declaration made to authoritative witness by the person who executed the document that it was freely executed. A formal declaration before a public official that one has signed a document. A Notary Public acknowledges the person's signature on the document. A written statement, affixed to an agreement, signed and sealed by anauthorized official that states in a form, usually prescribed by law, that the official took the acknowledgment of the person who signed the agreement. Download California Acknowledgment. To give or apply in a formal way. One who makes a swearing statement in an affidavit. A written declaration made under oath before a notary public or other authorized officer. A written sworn statement made before an authorized official. To declare positively or firmly; maintain to be true. An affirmation replaces "swearing before God". To secure (an object) to another; to attach; add to. Authentication document for Hague Convention members. The apostille itself is a stamp or printed form consisting of 10 numbered standard fields. On the top is the text APOSTILLE, under which the text Convention de La Haye du 5 octobre 1961 (English: Hague Convention of 5 October 1961) is placed. Additional authentication required for international acceptance of notarized documents including court documents, adoption papers, affidavits, administrative documents, civil status documents, birth certificates, contracts, death certificates, notarial acts, deeds, diplomas and degrees, divorce decrees, incorporation papers, marriage certificates, patent applications, official certificates which are placed on documents signed by persons in their private capacity, powers of attorney, school transcripts. Instituted by The Hague Convention Abolishing The Requirements Of Legalization For Foreign Public Documents of 1961, its objective is obviate "the requirements of diplomatic or consular legalization" and thus replace the cumbersome 'chain authentication method' that called for verification by multiple authorities. The act of designating for an office or position. Appraisal: An opinion as to the fair market value of property. To affirm to be correct, true, or genuine; corroborate. To prove or verify as genuine. Backruptcy: Bankruptcy is a legal status of a person or other entity that cannot repay the debts it owes to creditors. In most jurisdictions, bankruptcy is imposed by a court order, often initiated by the debtor. 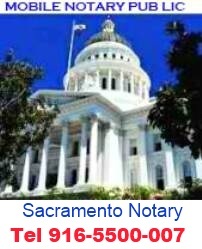 California Mobile Notary Network: Is a select group of dedicated, independent, professional notaries public providing the highest level of mobile document signing services throughout California. 1) A document testifying to a fact, qualification, or promise; or 2) A written statement legally authenticated. A document certified by a notary to be a true and correct copy of the original. It has some similarities to a notarized copy, which is a form used in some countries, and particularly in some States in the USA. A notarized copy is signed by a notary public (not to be confused with a notary in a civil law country - see Civil law notary). Wikipedia. Not a criminal action. A lawsuit for the purpose of protection of private (not public) rights to include compensation for their violation. The responsibility and obligation to make compensation to another person for damages caused by improper performance of duties and acts. Closing agents can be the lender, escrow, title, closing service companies, etc. A closing agent actually performs the closing process, which includes disbursement of funds, the issuing of title insurance, if applicable and recording of the deed. 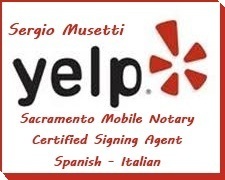 In addition, the closing agent, if a notary, can also notarize the applicable documents in the loan package. A closing agent is a person or business that is charged with the coordination of a variety of activities necessary for completing the sale of a house or other type of real-estate property. It is the job of the closing agent to ensure that all documents and records are completed properly. He or she also makes sure the related funds are properly disbursed. Essentially, a closing agent acts as a custodian, a service that can only be performed by a neutral party. Wisegeek. 1) Any of various short-term negotiable papers originating in business transactions; or 2) A document whose purpose is to transfer money such as a check, bill of exchange or draft. A document describing the notary's appointment and term of office. A believable witness worthy of confidence. 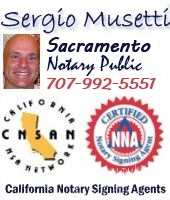 Creates a chain of personally known individuals from the notary public to the signer of a document. The acronym CNSA means "Certified Notary Signing Agent". The basic definition of a CNSA is a Notary Public who has been trained by the Notary Learning Center (NLC) to handle the execution and notarization of mortgage, refinancing and real estate transactions. To store in an orderly manner. In relation to notarial journal, to store for ten years. A pliers-like device, that when squeezed together with paper between the jaws, makes raised areas and indentations on paper. Used as a protection device. Not an official notary seal; but may be used in addition to the official notary seal. An insurance policy designed for the protection of the notary when held liable for honest mistakes. The insurance policy absorbs the notary's costs and financial liabilities up to an agreed limit. Escrow Officer: Is a person or organization (attorney, title company, escrow company) holding documents and funds in a transfer of real property. A crime more serious than a misdemeanor and punishable by a more stringent sentence. Notarial journal prescribed by law to record notarial acts. An affidavit declaring when, where, and before whom it was sworn. The locality where a cause of action occurs. The State and County where a notarization takes place. 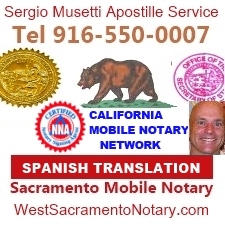 A document with notarial wording that is separate from, and attached to, the document being notarized. It is used when no wording is provided on the document, when that provided wording does not comply with the state's requirements, when there is no room for the notary seal on the document, or when a preprinted certificate has already been used by another notary in the case of multiple signers. Loan Consultant : A specialist whose job is to help you decide which Home Financing Solution is right for you. They can help you complete an application over the phone and begin the Loan Approval process. When possible, they will conditionally approve your loan over the telephone and forward it to a Loan Counselor for further processing. Indicates where the official notary seal imprint is to be placed. Latin term Locus Sigilli means "place of the seal". Behavior not conforming to prevailing standards or laws. An offense of lesser gravity than a felony for which punishment may be a fine or imprisonment. An official record book of notarizations performed by a notary. Required by law in the many states and officially recommended in most states. All entries must be in chronological order and have all required fields completed at the time of notarization. If must be kept under the direct and exclusive control of the notary and kept in locked and/or secured area. A person commissioned by a state government to serve the public as an impartial witness with duties specified by law. 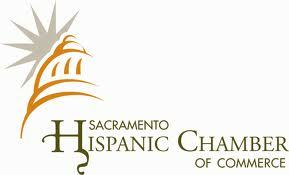 The notary has the power to witness the signing of documents and to administer oaths. An official stamp or embosser used by a notary to seal notarizations. It must be kept under the direct and exclusive control of the notary. A Notary Signing Agent (NSA) is a Notary specifically trained to facilitate mortgage signings or oversee loan signings for lenders, title companies and signing services. Certified NSA can explain complex mortgage signing documents. A statement by a person who asserts it to be true, calling upon God as witness. Familiarity with an individual resulting from interactions with that individual over a period of time sufficient to eliminate every reasonable doubt that the individual has the identity claimed. Written statement that one is resigning a position or office. Indicates where the notarization is performed. Latin term Silicet means "in particular" or "namely". Commonly referred to as jurisdiction. Sufficient means of identifying a signer which meets criteria set forth by law. The penalty for noncompliance specified in a law or decree. A Notary Public who has been trained by the Notary Learning Center (NLC) to handle the execution and notarization of mortgage, refinancing and real estate transactions. A company who subcontracts signing appointments to "Loan Document Signers" (Notary Public) for signing of loan documents and notarization. The sole purpose of this company is to act as a "Go-between" company, between the client and the notary public. To sign one's name in attestation, testimony, or consent. A person who appears before the notary on behalf of the principal. The subscribing witness must have been requested and/or authorized by the principal to get the document notarized, must swear under oath or affirmation that they either saw the principal sign the document or heard the principal acknowledge that they signed the document, must sign the document before appearing in from of the notary or in the notary's presence, must establish identity through personal knowledge of the notary or through the oath or affirmation of a credible witness known to the subscribing witness and the notary, and must sign the notary's journal. To cause to stop for a period; interrupt. To make a solemn promise; to vow, usually before God. is a person who has written and executed a last will and testament that is in effect at the time of his/her death. Probate Code. At the end of many documents and certificates that follows the form "witness my hand and seal" or some variation thereof. A confirmation of the truth of a theory or fact. A statement which waives or gives up the right to charge for notarial services. A person who watches an action take place.